Dental Anxiety can often run high in our young patients, so when my doctor approached our dental office management team with a new idea to incorporate a therapy dog to help ease children’s fears, our ears literally perked up. We are an extremely innovative team, always looking to see what we can do to better serve our families and elevate their WOW experience. Our pediatric specialty practice, led by Dr. Gila Dorostkar, is already at the forefront of the future of dentistry. With two environmentally-designed locations in the San Francisco Bay Area, our Greenbrae office was the first privately funded pediatric dental office in the USA to receive LEED certification and is also currently on the cover of the ADA Practical Guide to Dental Office Design manual. Our next gold standard of service came to us in the shape of a warm and friendly golden retriever by the name of Aspen. Aspen is already part of Dr. Dorostkar’s family, so finding a potential candidate wasn’t difficult. I had heard of therapy dogs in other settings such as hospitals, schools, nursing homes, and even other dental offices, but it was important to us that we introduce Aspen in a structured, thoughtful way in our own practice. To do so, we enrolled Dr. Dorostkar and Aspen in a locally certified pet therapy training program, to get a better sense of Aspen’s aptitude as a potential therapy dog and my doctor’s ability as a handler. The program concluded with a 17-point evaluation that essentially tested Aspen’s temperament, including her reaction to loud noises, behavior around strangers, and touch tolerance. She passed with flying colors. As a handler, Dr. Dorostkar learned how to handle exuberant and grabby children, how to maintain control of the leash and how to tell if Aspen was feeling reluctant or stressed. Surprisingly, there was little information available on how to formally introduce a dog to a dental practice. Yes, there were numerous anecdotal stories of dentists bringing in their family pets, but none of them addressed the potential risks or liabilities if something didn’t go as planned. We started by reviewing local and federal health codes. As it turns out, our standard infection control procedures were more than sufficient to eliminate any additional risk. Our malpractice insurance carrier advised we send out a general announcement to our patients, stating that we were introducing a therapy dog in our practice. Since we already regularly send email updates to our patients, this was easy to accomplish. We also added a question on our patient health history form asking about any known allergies or fear of dogs. It was challenging for our dental insurance coordinator to establish insurance coverage. Neither malpractice nor business property insurance would cover a therapy dog and even though there was minimal risk, we still felt that we should have some form of insurance in case an unforeseen incident occurred. After some additional online searching, we found an animal liability insurance carrier that would provide coverage for potential bites or damage; it even covered us if someone tripped over Aspen. The insurance policy included a set of conditions that reinforced our therapy training. The most notable requirement is that the dog must always be on a leash and under the control of a handler. To round out our research, we contacted our state dental association to confirm that we were abreast of any regulations. Again, there did not seem to be any formal policies in place regarding dogs in a dental office. I also confirmed with our team members that there was no hesitancy, and no one had potential issues, with bringing Aspen into the practice. The team reaction has been so positive that several members have even requested receiving the “handler” training to work directly with Aspen and our patients. To acclimate Aspen to our office, we started by simply having her greet patients in the waiting room upon their arrival. Gradually, we worked her up to going chairside and briefly saying “hi” during recall appointments. Aspen is now learning to stay chairside during restorative visits. The results have been truly magical. Although she’s too large for a child to hold, she seems to understand that children like it when she lays her head in their lap or next to their body. It’s amazing to watch how a child’s entire demeanor relaxes as they stroke Aspen’s head. I incorporated a system to handle the number of requests we receive for Aspen to be present during a child’s appointment. Since she is currently only in the office a few days a week, I established an alert system in our schedule to ensure Aspen was available at the time requested. Aspen inspired the design for our annual summer t-shirt with her likeness and “Brushing is PAWsome!” tagline. We have received both local and national press as well. We’re always attentive to Aspen’s needs and are careful to limit her work hours to ensure she doesn’t become stressed. We also make sure to provide a quiet place with a bed and water where she can relax. The response from our parents and kids has been incredibly positive. They are very excited to see Aspen, and it’s been a wonderful way to personally connect with parents, as they share stories about pets at home. Aspen has even helped kids who have a fear of dogs, and her doggie therapy has proven to be a benefit to everyone in the office, including our team. I think Aspen truly enjoys her job, and the response from the children is heartwarming. We are pleased to have yet another way to help make each child’s visit feel more memorable. 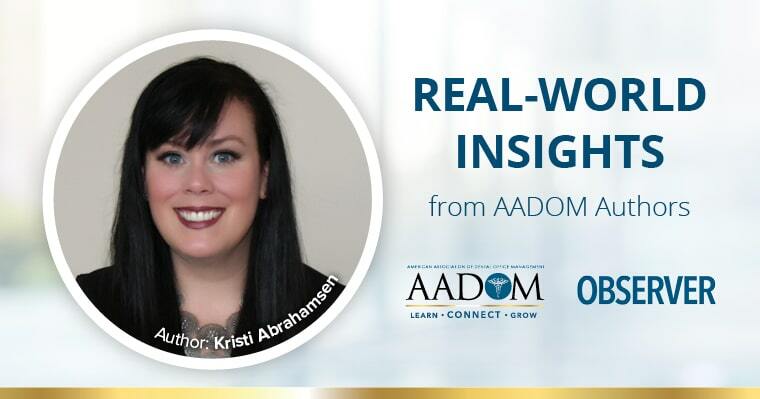 Kristi Abrahamsen is an active member of AADOM and is privileged to serve in the dental field since 1991 in multiple capacities for both orthodontic and pedodontic specialties. 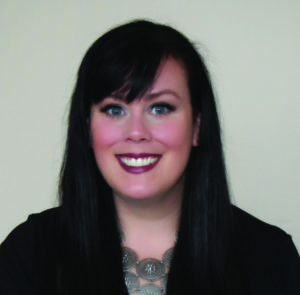 She is a registered dental assistant in her home state of California and currently leads a multi-location and multi-doctor team as dental office manager for Gila C. Dorostkar, DDS Pediatric Dentistry in the San Francisco Bay Area. Kristi has a strong passion for outstanding customer service and loves to share that commitment to excellence with her team. Article should be submitted in a word doc format. Word count 500 - 1200 words. Graphics can be submitted but are not guaranteed to be used. Include bio of less than 75 words. Include hi-res image of author. 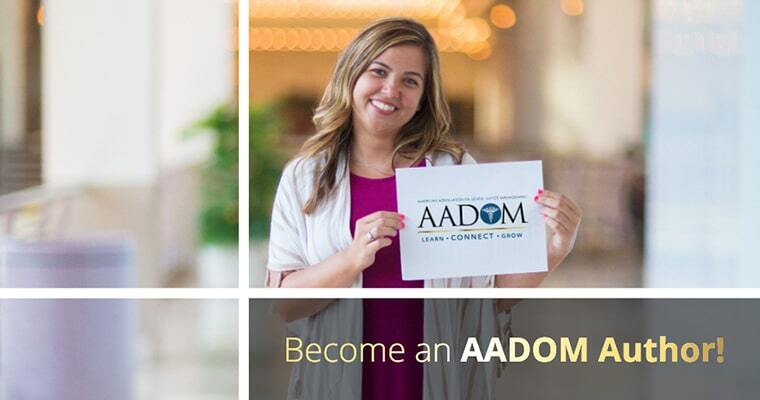 From time to time AADOM will feature articles from the Observer and our AADOM Blog narrated via podcast distributed through AADOM Radio.. By clicking yes you are giving AADOM permission to also use your article as a potential podcast. You will be given Author Credit and no content alterations will be made without your expressed permission.